Mindy's fitness Journey: Giveaway Extravaganza!! Have you "liked" Mindy's Fitness Journey on facebook yet? Guess what... I am less than 100 likes til the giveaway extravaganza!!! I will be giving away a Polar HRM, a week of free meals from Diet-to-Go, a medal display from Allied Medal Displays and MANY other awesome giveaways!!! ** StickItStrong, PRO Compression, Busy Mom Gets Fit, The Sox Box, Blogging Planner and Shubeez among others!!! 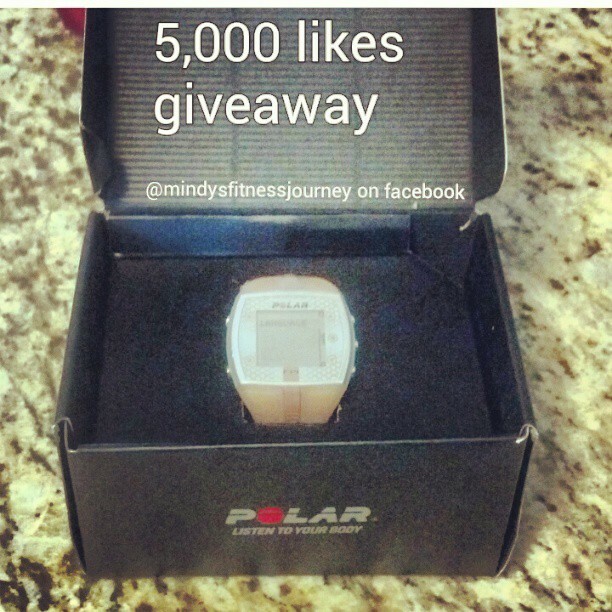 As soon as I hit 5,000 likes, the Polar Heart Rate Monitor giveaway will go up! Then there will be a new giveaway every other day or so! It's going to be a lot of fun! Make sure you subscribe to my blog and follow Mindy's Fitness Journey on Facebook. Ignite Fitness is looking for speakers for FitBloggin this summer! And I could be one of them! Winning this would be huge for me because it would comp the ticket to FitBloggin. That will save me a lot of money! And don't forget about the awesome giveaway that is going on right now!!! that is a great thing to do! Make sure you leave your name so I can verify your entry if you win! You're so close to 5,000 likes! Woot! Today, my husband and I found out that we are having a baby boy (1st baby! )-that was definitely something I/we did to love ourselves-finding out who we're going to love soon! OH MY GOSH!!! Congrats! That is the best news!!! Woot woot! I liked and voted!! Hope you get to fitbloggin! Thank you very much! Good for you on the 5K... woot woot! Today I gave myself a long walk in the sunshine and a tea date with my husband - so nice to get out together. I'm so excited to see you reach this milestone! Today, to love myself, I didn't rush myself even though I woke up late. I put makeup on and fixed my hair and didn't stress! That's a HUGE accomplishment for me! Keep on kickin' booty mama!!! I shared your giveaway! Congrats. I shared this very cool giveaway! Woot! 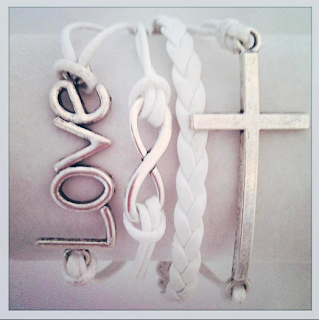 I shared this giveaway on your facebook page and post the link on my blog. So proud of your VERY big accomplishments! You deserve all the wonderful things coming your way! CONGRATS MINDY! You work so hard to connect people to a healthy lifestyle. I'm proud to follow you! And share you. it from somewherе? A theme like yours with a few ѕimple tweeks would гeally make my blog stand out.